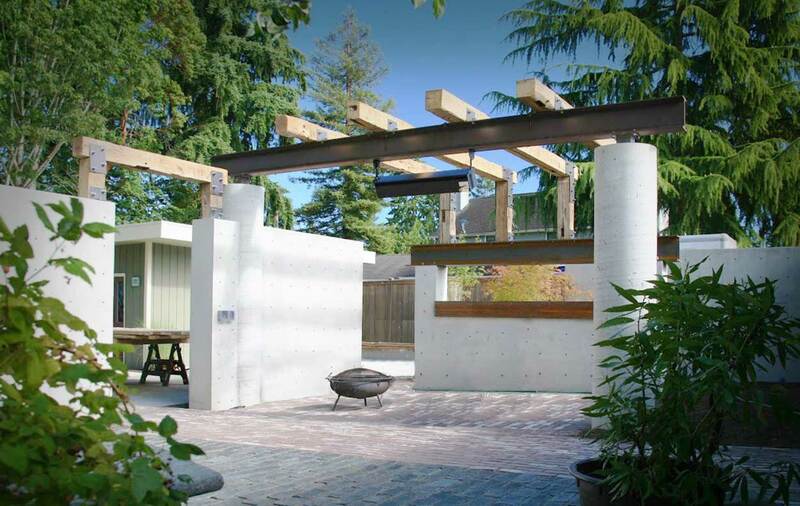 This courtyard garden extends the living space of a mid-century home in Shoreline. 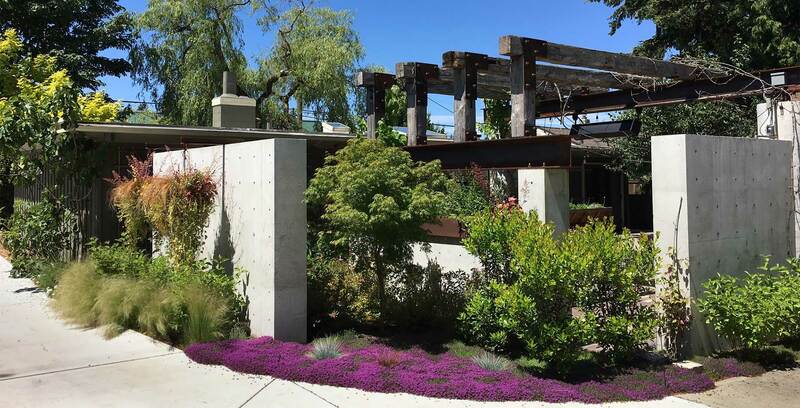 Architectural concrete walls impose strong lines in the landscape and enclose the space while allowing it to breathe. 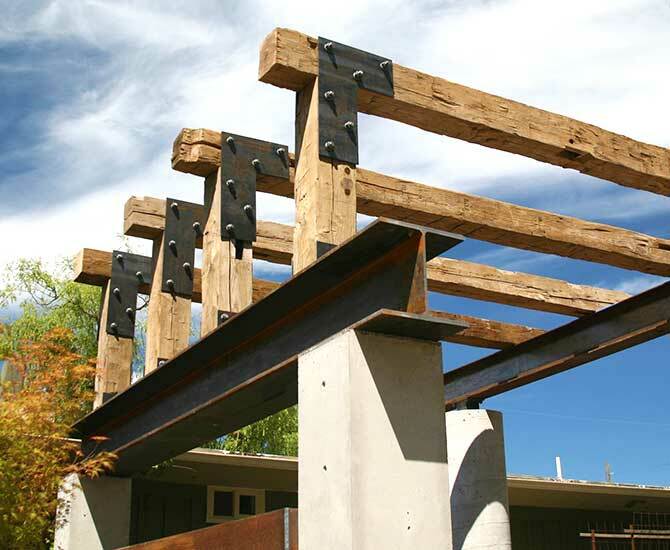 Reclaimed timber beams are a counterpoint in both warmth and time to the concrete and steel. The floor of the space features 19th century ballast bricks and rough granite from 21st century China. Rustic, reclaimed beams frame the main garden room, and add a warmer elements complimenting the steel. 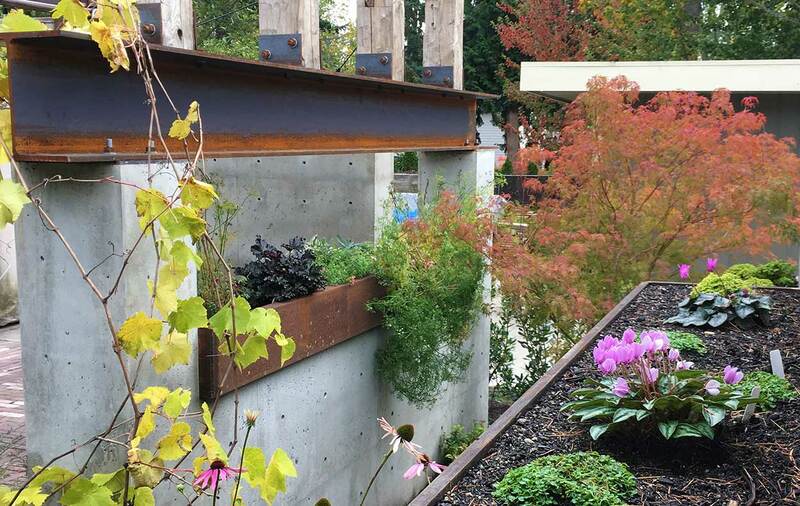 Softening the hardscape is a rich planting palette, including a grape vine trained onto the overhead beams, and a corten steel planter built into the “window” on the South side of the courtyard.